CALGARY, July 23, 2018, /CNW/ – Lithium Chile Inc. (“Lithium Chile”) is pleased to provide an update on the ongoing drill program at its wholly-owned Ollague project, located in the Antofagasta Region of Chile. The first hole, DDH-OLL-01-18, encountered a porous brine saturated salt/sand horizon at a depth of 110 meters which continued to a depth of 290 meters. These depths coincided with the main low conductivity zone detected by the transient electromagnetic survey completed by Lithium Chile on the property during March 2018 (“TEM” – see news release dated April 3, 2018). DDH-OLL-01-18 was terminated at 300 meters depth after penetrating the Salar basement at 290 meters. The drill rig is now set up on platform 2, located 2 kilometres SW of DDH-OLL-01-18. In addition to recovering core during the drilling of DDH-OLL-01-18, a fluid sampling program was completed. This consisted of collecting 1-litre samples at 20-25 meter intervals throughout the 180-meter thickness of the porous zone. 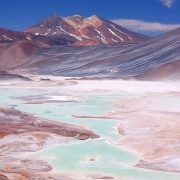 The samples were tested on site for salinity and conductivity and then bottled and sealed on site for shipping to an accredited laboratory, ALS Patagonia, for chemical analysis. 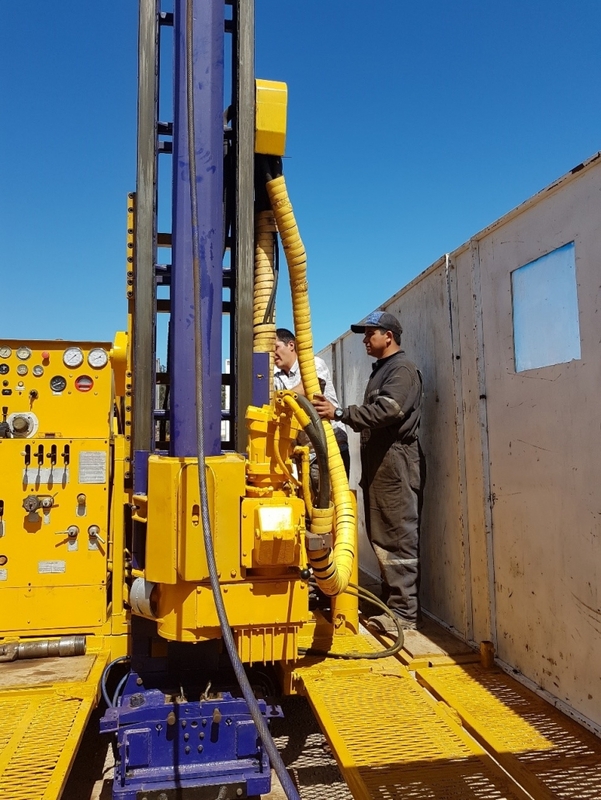 DDH-OLL-01-18 is located approximately 1 kilometre from a historic test well where Lithium Chile recently received assay results of 1220 mg/L lithium from newly taken downhole fluid samples. This news release has been reviewed by Terence Walker, P. Geo., Vice President of Exploration and a qualified person as that term is defined in National Instrument 43-101. 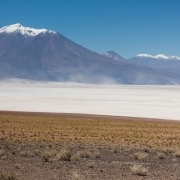 Lithium Chile is advancing a lithium property portfolio consisting of 152,900 hectares covering sections of 14 salars and 1 Laguna complex in Chile. 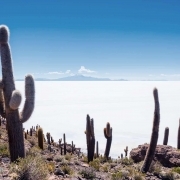 Lithium Chile’s common shares are listed on the TSX-V under the symbol “LITH” and on the OTC-QB under the symbol “LTMCF”. Forward-Looking StatementsThis news release may contain certain forward-looking information and forward-looking statements within the meaning of applicable securities legislation (collectively “forward-looking statements”). Generally, forward-looking information can be identified by the use of forward-looking terminology such as “expects”, “believes”, “aims to”, “plans to” or “intends to” or variations of such words and phrases or statements that certain actions, events or results “will” occur. In particular, this news release contains forward-looking statements relating to, among other things, management of the Company’s views regarding the current and subsequent drilling programs. You are cautioned that the following list of material factors and assumptions is not exhaustive. Specific material factors and assumptions include, but are not limited to: the general stability of the economic and political environment in which the Company operates; the timely receipt of required regulatory approvals; the ability of the Company to obtain future financing on acceptable terms; currency, exchange and interest rates; operating costs; the success the Company will have in exploring its prospects and the results from such prospects. Accordingly, readers should not place undue reliance on forward-looking statements. The Company does not undertake to update any forward-looking statements herein, except as required by applicable securities laws. All forward-looking statements contained in this press release are expressly qualified by this cautionary statement. For further information: To find out more about Lithium Chile Inc., please contact Steven Cochrane, President and CEO at (403) 853 7117 or via email: steve@lithiumchile.ca or alternatively, Jeremy Ross, VP Business Development, at (604) 537-7556 or via email: jeremy@lithiumchile.ca. 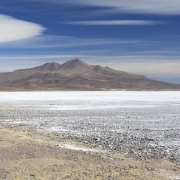 Lithium Chile (TSX-V: LITH) owns seventeen projects, encompassing 159,950 hectares on Li-rich Salars in Chile – home to world’s largest, high-grade lithium reserves and lowest-cost lithium production. The portfolio includes projects with high-grade lithium brines and excellent chemistry, at shallow depth. #900, 903 – 8th Ave.